I love that we are surrounded by beauty and we just we have to look for it. I walked through downtown this weekend when the weather was blustery and a little dramatic. 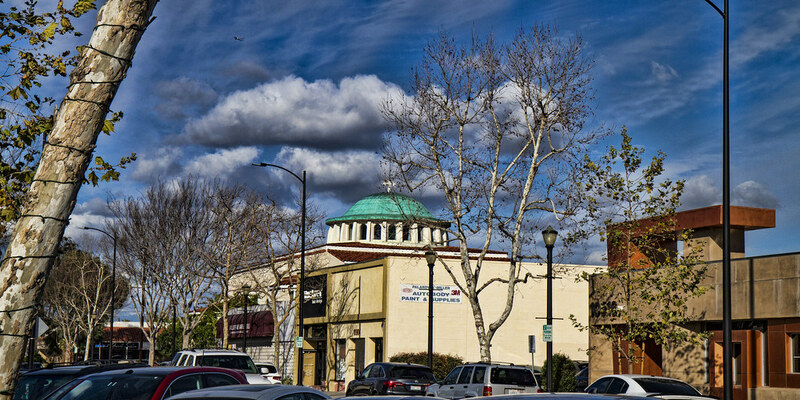 I looked up and saw the puffy clouds hovering over St. George Greek Orthodox Church. It reminded me how beautiful changing weather can be.